Marriage is a life long commitment. 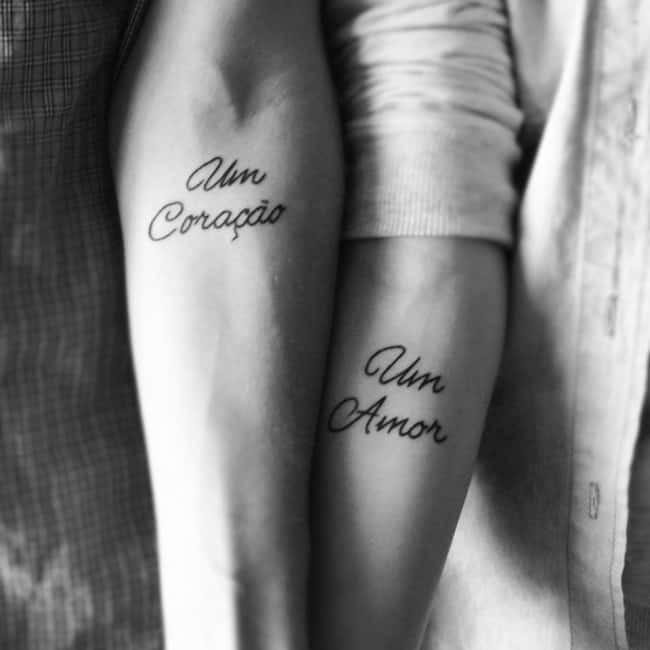 Could getting matching tattoos be a perfect way for couples to express that commitment to each other? My friend was struggling with this decision recently, and it made me think. Together we came up with some reasons that really encouraged her to go for the idea. But then, we started coming up with reasons that it was not such a fantastic option. I want to share what we came up with! Here are some pictures that we found and loved. 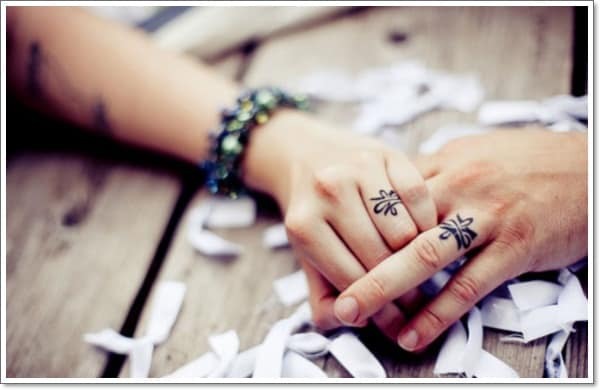 There are many beautiful wedding tattoo ideas out there! 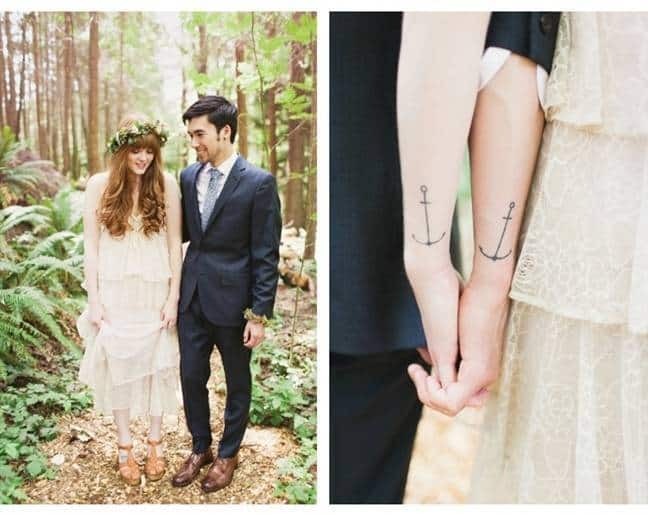 The anchor tattoo represents stability and loyalty, which was really beautiful. Next we came up with reasons why it wasn’t the best idea. what if they were to get the “D” word, way down the road and separate? This was a hidden fear that she had. In the end, my friend decided that she was much more excited about expressing her commitment through saying her vows and wearing a wedding ring. 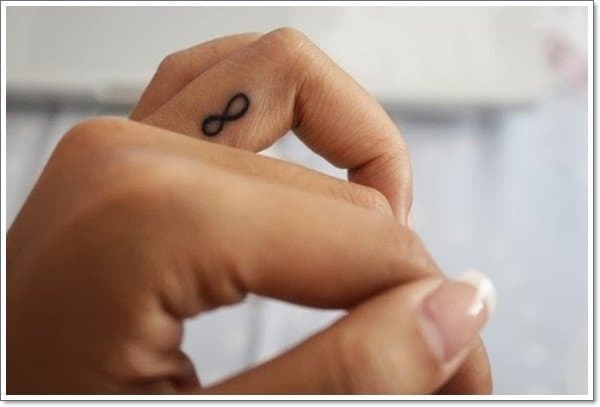 Although she loved the idea of tattoos, and wanted to make her partner happy, it didn’t make her excited enough to pull the trigger and go for it. I would love to know what you think about this. 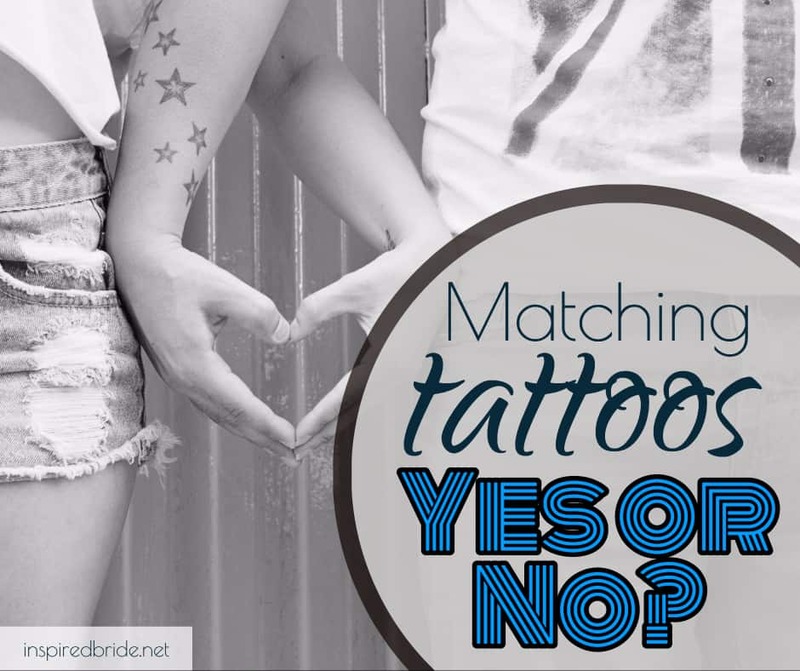 Do you think matching tattoos are a beautiful expression of commitment, or a tacky and terrible idea? Leave your opinion in the comments section below! Can’t wait to hear what you think!